Here you will find pertinent articles about mental health in Vermont and beyond. Are area students getting the mental health counseling they need? Lamoille County Mental Health Services is inviting the community to come together to build a playground for kids with special needs. Many children who have developmental, social and emotional challenges, or who have experienced trauma are unable to access public playgrounds for the safety of themselves or their peers. Like you, the staff at LCMHS believe deeply that all children should have a safe and engaging place to play outside. If you are interested in joining a work day, please email me for the schedule! If you are unable to join us on a particular day but would like to contribute in another way, or if you and your team would like to work on a part of this project on your own please check out our wish list. 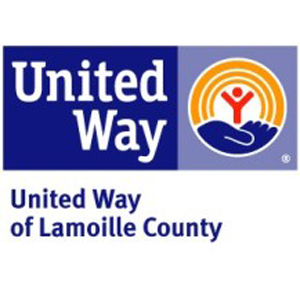 Thanks to the United Way of Lamoille County for kicking off our project with the donation of a swing set!